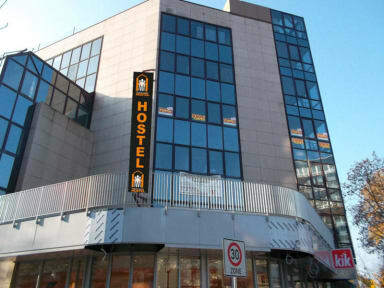 We are a chic new hostel with a total of 150 beds. We have double rooms, single rooms, triple rooms and many dorms. There is an extra charge for towels, lockers and bed linen. We also have a breakfast room and a beautiful bar. shopping center, is only one station from us in the same street. is located inside the building. Please read our Things to note carefully before making a booking! I've just stayed one night at Central Hostel im Gallus, but I didn't feel exactly welcomed. It seem more like factory dorm than a place were travellers feel relaxed and welcomed. Starting with the check-in, were sympathy wasn't their best quality, and finishing with the facilities - with no charm at all. Maybe I's me that I'm a bit spoiled, but I prefer hostels with friendly staff willing to help you out, artistic decors and an overall atmosphere that allows you to mingle with other travellers.